Curious about trekking, how it differs from hiking, what you need to get started and where to go? Walking across the countryside on narrow trails has always been a trend. Humans have always been true children of Mother Nature. But slowly, the modern world began to overlook the importance of people being in nature. Then, people started to feel the absence and longed to find ways to reconnect to Mother Earth. As National Parks, state parks, and other wilderness area began to crop up in the last century, more and more people began to seek out the peace and serenity that comes from being in nature. What is trekking all about? It’s about reconnecting with nature without the creature comforts we take for granted. Trekking takes us off the beaten paths on a multi-day adventure across some of the most beautiful places in the world. It challenges us physically and mentally, but the beauty of raw nature recharges us in ways nothing else can. Hiking and trekking are two of the favorite ways people use to come close to nature in the modern era. These two are also very popular vacation activities and destinations. So in this post, we’re diving deep into trekking. We’ll cover what it is, how it differs from hiking, what you need to get started, beginner tips, and the types of trekking. Hiking simply means walking on a trail that was already established. It might be a paved trail, gravel, or just dirt and rock, but someone has already gone through the trouble of clearing it and making it easy for others to walk on. It is mainly a leisurely activity that people enjoy on weekends. Hiking has its roots in an era, a very long time ago, when people used to reside in villages and countrysides. Thus to get anywhere, or even just a picnic with their family, they often had to rely on hiking trails to get where they wanted to go. In many parts of the world, people still travel a long distance on foot to reach a certain place and spend a couple of hours there before returning home. Hiking is usually a one-day affair, although multi-days hikes that are usually very long in distance are also popular. Typically when one is hiking for multiple days, the term backpacking becomes more common. Anybody, who loves greenery and the beauty of nature, can go on hiking without much preparation and enjoy the natural environment. Adventure is a word that comes into the mind of a person when he/she hears about trekking. The activity is all about exploring difficult paths in secluded areas such as mountains and hilly terrains. In places where there are no means of transportation, trekking is common. Along with getting thrilled with the beauty of nature, a trekkers’ major aim is to accept the challenge of adventurous paths to feel extreme inner stimulation. One requires having a strong body and stamina in order to complete a trek successfully. Many treks take over a couple of weeks to complete depending on the distance of the trail. If you are a beginner in the field of trekking, it is good to opt for basic level treks. Trekking is quite popular in South Asian countries as people from all corners of the world visit there for the magnificent experience. The first difference is that the paths of hiking trails are easier than trekking trails. As we mentioned above, hiking trails are typically man-made, level, well cleared, and sometimes even paved. This makes it easy to take a leisurely hike without much preparation or thought. Trekking, however, is a lot more challenging. It often requires significant endurance, has greater risks involved, doesn’t necessarily involved a man-made path, and can really test one’s mental and emotional states as well. While some hikes are multi-day, most people hike for a few hours, whereas treks are usually multi-day. One plus of trekking is that some trekking tours drive supplies to specified locations along the trek so trekkers can replenish their food and water. 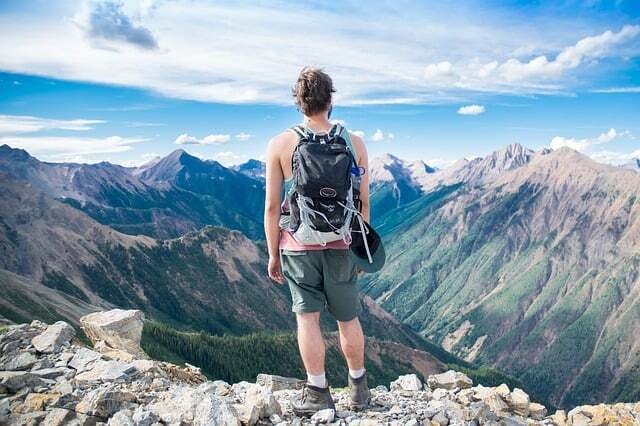 In many ways, backpacking and trekking are very similar, but backpacking is done in a wide variety of places whereas trekking is often done in isolated mountainous regions around the globe. What is the difference between trekking and mountaineering? In short, while hiking, backpacking, trekking, and mountaineering are all similar, they all have significant differences too. In fact, if we were going to say any 2 were basically the same it would probably be trekking and backpacking. But then you’ll get some pushback on that too from the outdoors community. We’ve already defined hiking and trekking, so here we’re focusing on mountaineering. Essentially, mountaineering is like trekking, but even more challenging, and, as the name implies, is focused solely on mountain destinations. Like trekking, mountaineering is also a multi-day affair, but unlike hiking and trekking, mountaineering is not something to just do without significant training and preparation. So if you’re ready to climb Mount Everest, then you’re ready for mountaineering. If not, start off with some basic trekking first and work your way up. What are the benefits of trekking? Anytime we are able to unplug, disconnect from work, bills, and day to day stresses, we come back more energized and more recharged than ever before. When we do that by challenging ourselves physically and mentally while immersed in the beauty of nature, that’s even truer. As you trek, typically in a group, you will leave the “real” world behind. We also tend to leave behind our bad habits too (too much coffee and alcohol, snack foods, etc). 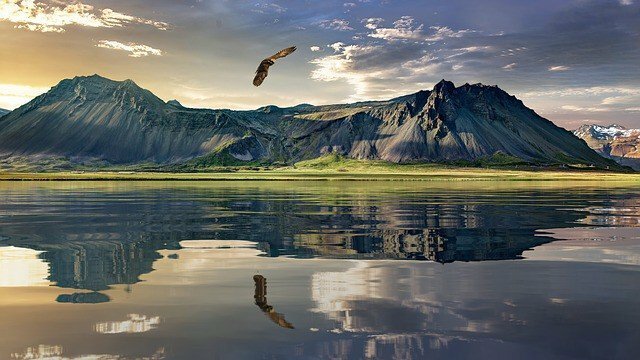 We also tend to drink more water, and while you will be physically exerting yourself, your mind will be refreshed and renewed by being immersed in the beauty. Because you’ll be WAY off the beaten path, you’re also likely to see places and animals you might otherwise never see. What should I eat during trekking? Of course, since you’ll be very physically active, it will be important to choose items with really good nutrition; high calorie, low sugar, minimally processed, with good proteins and carbs for energy. What should I wear for trekking? You’ll want to bring lightweight things since you’ll be carrying them on your back, but of course, you’ll also want to make sure you’re prepared for the weather and the elements. Layering your clothes is a great strategy since you can shed or add layers quickly and easily depending on the weather. Of course, functional clothing is a must, and breathable fabrics are crucial too. While most of us normally gravitate to 100% cotton clothing, out in the wilderness, that’s not always the best choice since it’s slow drying, doesn’t keep excess moisture off skin and doesn’t insulate that well. Wool, poly/nylon blends and even silks are all great choices. You probably also want zipper pockets to ensure nothing falls out, and quick drying fabrics in case you get wet. What should I buy for trekking? For your first trek, you may want to consider a guided trek with a company who will let you know everything you need to bring. As a beginner, you should start with moderate level treks. 10-20 mile trails (20-30 km) are good to start with. As a total beginner, consider starting on level terrains before starting to explore more challenging paths. Triund and Nag Tibba in Uttrakhand, India are good examples of basic level treks. Some of the more challenging treks are – Upper Dolpo Trek (Nepal), Chadar Trek (India), Devil’s Path (New York), The Long Range Traverse (Canada), etc. New Zealand is among the most popular hiking and trekking destinations in the world. Located in Oceania, New Zealand features numerous world-famous hikes such as Tongariro Alpine Crossing, Mueller Hut Route, etc. New Zealand has a wide variety of hikes and treks. You can find mountain treks, ocean hikes, forest trails, city hikes, and many more astonishing hiking paths. Mount Victoria Trails of Wellington is awesome for exploring the Kiwi capital. Most of the trekking sites are found in North Island. If you love to explore caves and enjoy the underground thrill, walk through the Abbey Caves in Whangarei. The Himalayan kingdom of Nepal is arguably the most beautiful place when it comes to nature walking. It is the most sought-after trekking destination on the planet. Nepal has everything that a nature lover likes – from snow-laden mountains to lush vegetation to picturesque waterfalls to stunning valleys. In fact, the trend of trekking was started in Nepal. Since the Himalayan trails are difficult to explore, trekkers find them ideal for an adventurous challenge. Although there are many hikes in the country also, Nepal is popular for its treks and of course, mountaineering expeditions. 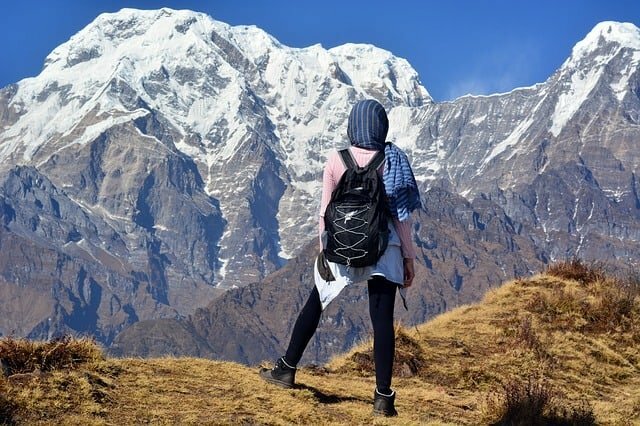 Some of the most popular treks in the mountainous country are Annapurna Circuit, Manaslu Trek, Everest Base Camp Trek, Upper Mustang trek, etc. The beautiful part of trekking in Nepal is its serene environment all over the country. Wherever you are staying in Nepal, you see welcoming and friendly people everywhere you go. Deep love for nature has been ingrained in the culture of India since the beginning of time. India is an extremely popular place for adventurers, hikers, trekkers and mountaineers. There are numerous trekking locations all across India. From the Himalayan region in the north to the Nilgiris in the south, many hiking and trekking sites can be found all over India. If you love trekking in the snow, Himachal, Sikkim, Uttarakhand, Jammu & Kashmir, etc. are the best destinations to go to. An abundance of wildlife and beautiful vegetation can be found when you trek in the Western Ghats. Set your foot in Kerala, Darjeeling, Mussoorie, and Ooty if you love the delight of natural vegetation while exploring the hiking trails. The spiritual significance of India adds beauty to its treks since a number of temples and Yoga centers can found in the mountains. If the spiritual aspect appeals to you as well, while you’re in India, consider learning about the Benefits of a Spiritual Retreat. 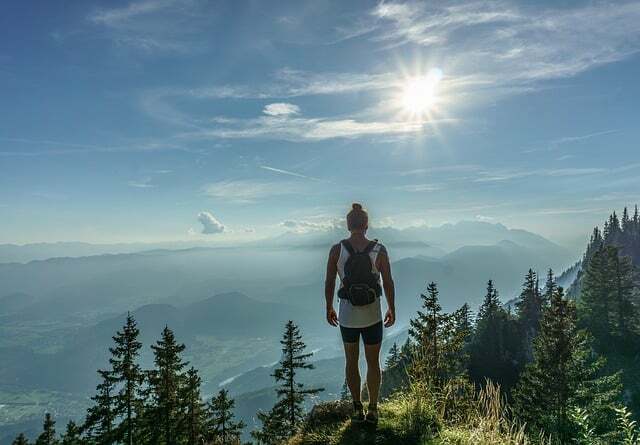 Like trekking, a spiritual retreat also allows you to connect with other like-minded individuals, enjoy the peace and serenity of nature, but without the physical endurance of a trek. The world’s richest country is also a fantastic destination for hiking and trekking. The nation is very diverse in its geography and offers a wide variety of beauty and challenge to trekking. Centered in between Canada and New Mexico, the United States, particularly the southwest up the Rocky Mountain range, features a number of spellbinding mountains, waterfalls, rivers, etc. 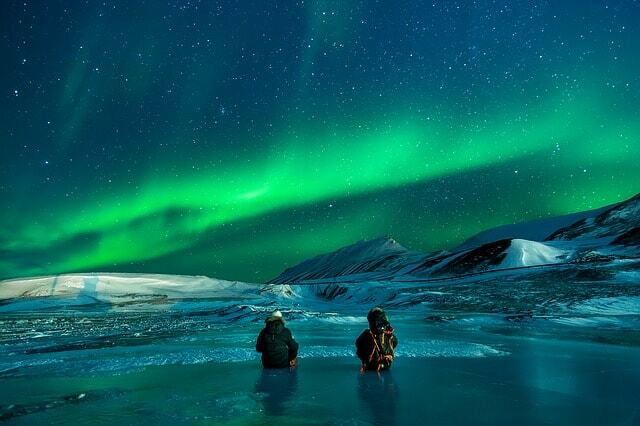 But Alaska, which is north and west of Canada also offers breathtaking beauty and excellent treks. Witness the complete whiteness of Kenai Fjords National Park while trekking through the Harding Icefield Trail in Alaska. But it’s usually the Rocky Mountain range that runs from New Mexico up to Montana that wins the heart and souls of trekkers. The Highline Trail of Montana is one of the best examples of a beautiful trekking site in the USA. But virtually all 50 states in the US have some location that is outstanding for trekking. Scotland is a naturally rich and diverse nation in the northern portion of the United Kingdom. There are numerous places for trekkers and hikers in the country, thanks to multiple mountains and national parks. Let the incredible view of Stac Pollaidh fascinate your soul with its beauty. The island of Muckle Flugga is yet another astonishing trekking and hiking place in Scotland for those who love the purity of nature. You’ll see a functioning lighthouse from the moisture as you trek the mountainous terrain surrounded by the ocean. The remoteness of the mountains makes Scotland even more unique and beautiful to explore. 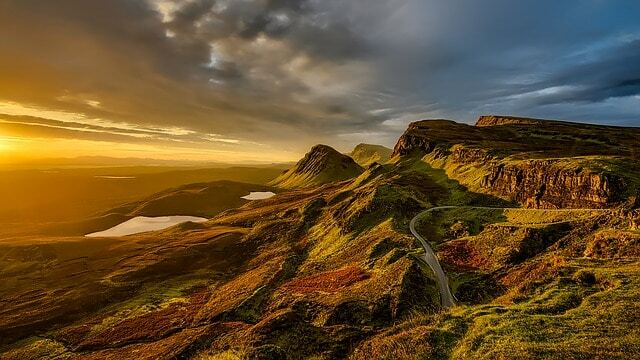 If you are looking to really enjoy the simplicity and purity of nature, choose Scotland as your trekking destination. Did we answer what is trekking all about? In this post, our goal was to help beginners learn everything they need to know about trekking. We explored what trekking is, how it is different from hiking, the benefits of trekking, and all the beginner tips one might need to get started trekking. The truest form of natural beauty is found in the mountains and jungles and there is no better reason to experience it than walking through the scenic trails. Make your mind up and begin a soulful journey on the secluded path for memories of a lifetime. Bipin Baloni is a passionate Yogi, Yoga Teacher and a Traveller in India. 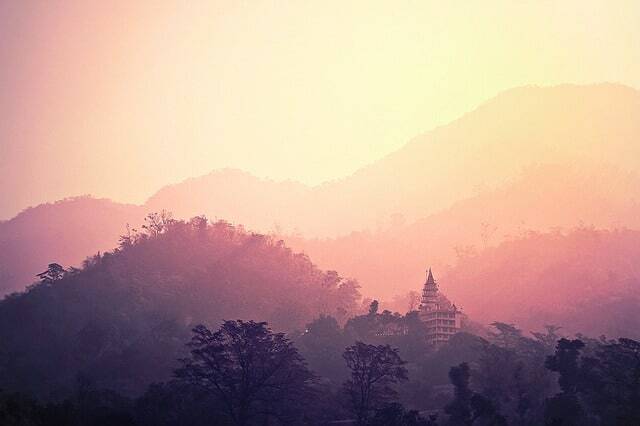 He organizes 200-hour yoga teacher training in Rishikesh. Bipin Baloni conducts Yoga Teacher Training in India in different cities.